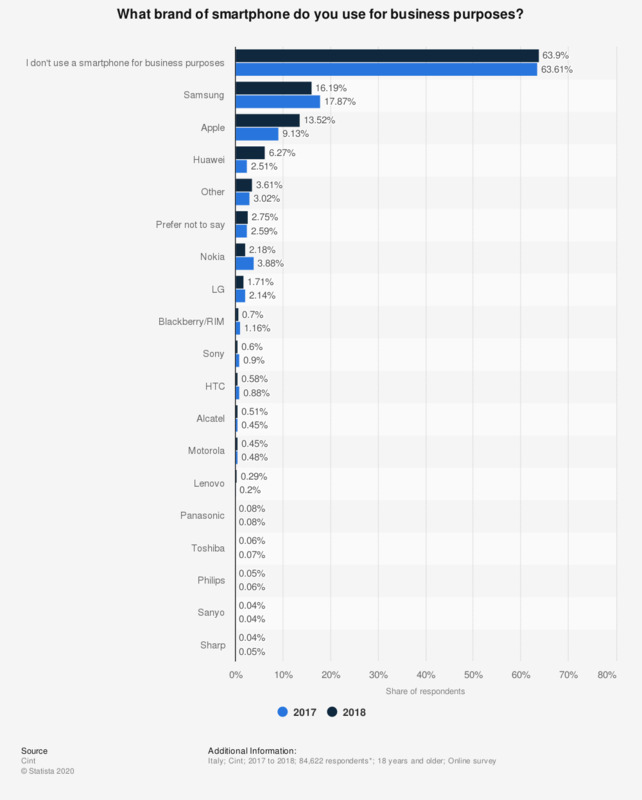 This statistic shows the results of a survey on which smartphone brands are used for business purposes in Italy from 2017 to 2018. During the survey period, it was found that 16.19 percent of respondents stated that they use a Samsung smartphone for business purposes. * Number of respondents interviewed corresponds to year 2018. In 2017, 59,970 respondents were interviewed.